Like many substances, some kratom users report developing a tolerance with regular use. This can result in a situation where the individual needs to ingest more kratom in order to get the desired effect. As with many elements of kratom use, each user’s experience is slightly unique and therefore, reports of tolerance vary as well. What is Kratom? Why is it Used? Kratom is a completely natural plant-based substance, derived from the leaves of a tree (Mitragyna Speciosa), which is native to southeast Asia. Native Asian cultures have been using kratom leaves for generations as an herbal remedy for a wide range of conditions, including anxiety, diarrhea and pain. In recent years, kratom has found its way into Western cultures, where it’s brewed into a tea or inserted into capsules, which are ingested as a supplement. Kratom extract has also gained popularity in some regions. Kratom has gained favour for its opiate-like properties, making it quite popular among individuals who are looking for relief of chronic pain and those who are seeking to self-wean from opiate painkiller medications. How Does Kratom Tolerance Occur? In order to understand how kratom tolerance occurs, it’s important to gain an understanding the mechanisms through which kratom impacts the body. Kratom contains components called alkaloids and metabolites – active ingredients, of sorts – called 7-hydroxymitragynine and mitragynine. When an individual ingests kratom tea or a capsule, the alkaloids and metabolites are absorbed through the digestive tract and into the blood. Once they’re present in the blood, they’re transported to the brain where they act on the brain’s neuro-receptors. When a metabolite or alkaloid binds to a receptor, it elicits a physical sensation. The brain’s MU and delta receptors are impacted by kratom and opiate painkillers; this is why kratom can produce opiate-like effects. In the case of kratom, the act of binding to the receptor elicits anti-depressant and pain relieving properties. Notably, when another substance binds to the receptors before the kratom’s metabolites and alkaloids bind to the receptor, this essentially “blocks” the body from experiencing any impact from the kratom. These substances are known as antagonists; they basically counteract kratom’s effects. Over time, the biology of the brain’s receptors can change. If someone takes opiates or kratom on a regular basis, the sensitivity of the receptors can change; they become less sensitive in a process termed “down regulation.” The individual must take more kratom in order to achieve the effects they desire. The body can also develop a slightly different form of kratom tolerance, centered around the enzymes that are used to process the kratom and its constituents. In response to regular kratom use, the body may increase the rate at which is produces the enzymes that process kratom. This results in the kratom being broken down at a much more rapid rate. This, in turn, causes fewer alkaloids and metabolites to enter the system. When there are fewer metabolites and alkaloids to bind to the receptors in the brain, the effects are muted. Therefore, the individual must take more kratom in order to enjoy the desired effect. When it comes to tolerance, each individual is unique. Many moderate users report that they do not develop any tolerance, despite months and years of continual use, whereas others report developing a tolerance within a matter of a few months. A small portion of users have reportedly developed what’s been described as a “permanent” tolerance, though it would appear that this has been associated with “excessive” use of kratom and other medications for an extended period of time. It’s believed that the mechanism for long term or “permanent” tolerance relates to a change in the sensitivity of receptors or perhaps a change in the actual receptors themselves. There is some anecdotal evidence that suggests that kratom extract is associated with more reports of tolerance and a faster development of kratom tolerance when compared to other forms like kratom powder. The reason? Kratom extract contains a higher concentration of “active ingredients” so to speak, mitragynine and 7-hydroxymitragynine. In addition, the kratom extract contains fewer compounds that act as antagonists. In kratom leaves, there are naturally-present antagonists bind to receptors that would otherwise be bound to by mitragynine and 7-hydroxymitragynine. This serves to “mute” kratom’s effects. But since the kratom extract doesn’t contain these naturally-present antagonists, the effect is not muted and the user feels more effects after taking a relatively small amount of kratom extract. In order to decrease your kratom tolerance, you must take a break to allow the neuro-receptors to “reset.” Over time, the receptors will return to their natural state. When the individual resumes kratom usage, the receptors will be impacted as though it’s the first use. Some individuals opt to stop or reduce their kratom usage for a period of time, ranging from a few days to a few weeks. Others reportedly avoid tolerance by taking a “day off” at least once per week or, conversely, only using kratom powder minimally, on a once-a-week basis. In addition, some kratom users have found that using kratom powder blends that contain the stem and leaf veins can help to lessen the down-regulation that accounts for the development of a tolerance. It’s said that the stems and veins that are present in the kratom leaf contain alkaloid substances called 9-hydroxycorynantheidine and corynantheidine. These alkaloids reportedly slow the development of tolerance, while also muting the kratom’s effects with antagonist properties. Therefore, when used for a few days, the kratom blends that contain the stem and leaf veins result in a dose that less-aggressively binds to the receptors, providing them with an opportunity to “reset” and these special alkaloids also slow the rate at which tolerance forms. The net effect is a reduced kratom tolerance that enables the user to achieve the desired effect by ingesting less kratom. Many kratom enthusiasts also opt to switch up the variety of kratom powder. There’s a phenomenon that some call “single strain syndrome,” which is said to occur when the body acclimates to the components that are found in a particular variety of kratom powder. Since different varieties of kratom powder contain slightly different alkaloid composition and ratios, kratom’s effects vary slightly depending on the type. Some kratom users even opt to take antagonists like phenibut and cat’s claw during a “break” from kratom use. 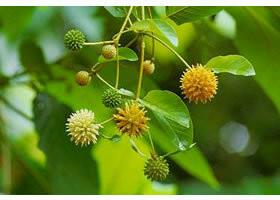 These antagonists counteract the effects of kratom on the receptors. This causes the kratom to leave the individual’s system faster, resulting in a faster reduction in tolerance. Enzyme inhibitors are also reported to help lower tolerance. These enzymes, which break down kratom at a rapid rate, thereby reducing the amount that’s absorbed by the body, are stymied by enzyme inhibitors. These enzyme inhibitors are found naturally in fruits and vegetables, along with supplements such as grapeseed extract, ginseng, St. John’s wort and kava-kava. Enzyme inhibitors are ideal for individuals who experience tolerance due to an excessive amount of enzymes rather than receptor-based down-regulation.